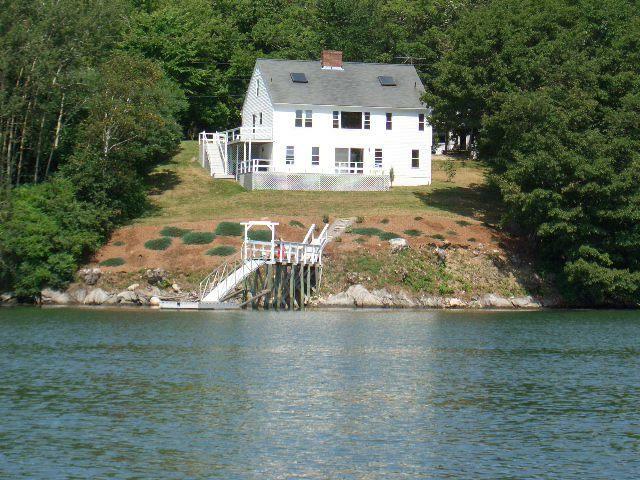 The water views are simply spectacular from this year-round cottage known as “Battery Place”. The location is convenient to Boothbay Harbor, the village of Wiscasset, and is within walking distance to historic Fort Edgecomb. The cottage is only 1 hour north of Portland and 3 hours north of Boston. The spacious home offers flexible use where owners can use the main home and/or lower level waterside rental apartment. Please visit our website at www.KeenanAuction.com to view directions, preview information, and many picturesque photos of the property and its water views. 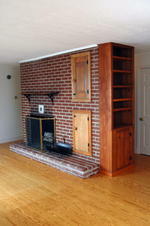 The classic center chimney cape style cottage contains 3,040+/- S.F. in 2.5-levels, including a daylight basement apartment. 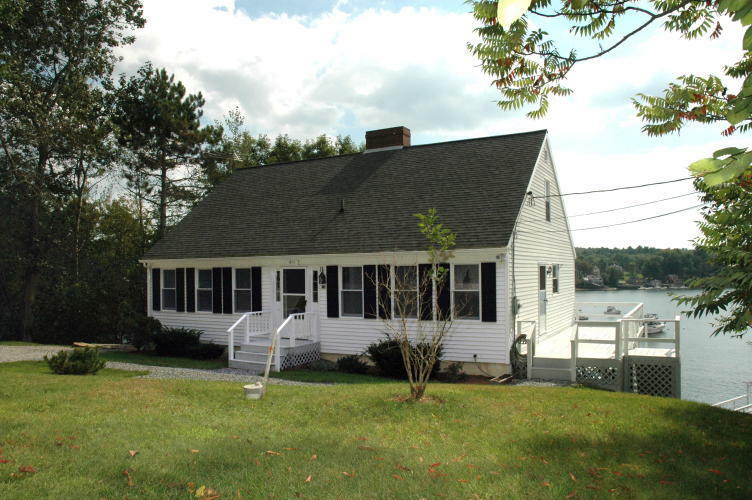 The cottage has been recently renovated and is situated 40’ from the water on a nicely landscaped terraced lot. 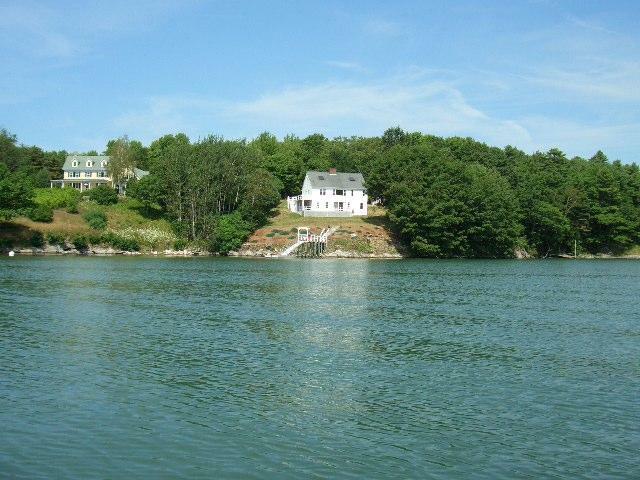 The .60+/- acre site has a deep-water shoreline that measures 343+/- ft. and enjoys views of Westport Island, and approximately 5 miles southeasterly down the Sheepscot River. The main level of the home (1,200+/- S.F.) has a center chimney design that takes full advantage of the water views. It contains a large kitchen with breakfast nook, dining and living rooms w/built-in china cabinet and bookcases, fireplace, bedroom/office, full bath, foyer, laundry room, and access to a waterside deck. The upper level (640+/- S.F.) 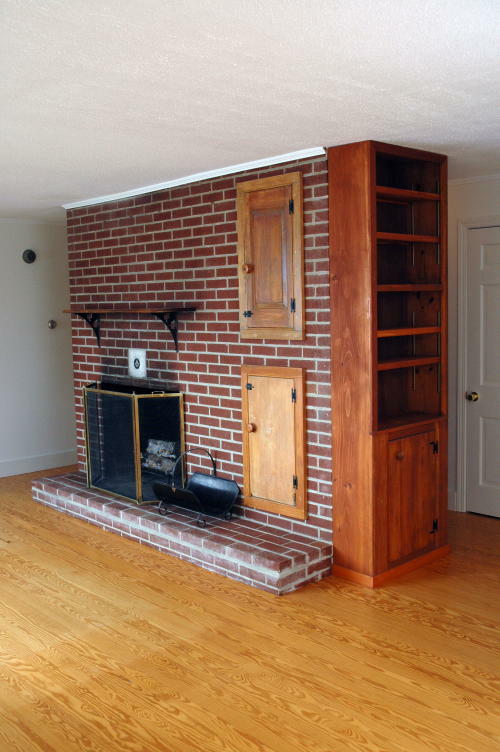 has 2 bedrooms, and a half bath. The finished daylight basement (additional 1,032+/- S.F.) has a 1-bedroom apartment suite offering water views and a huge waterside deck. The unit is designed with an open concept tiled kitchen, living room w/ fireplace, dining area, full bath w/ laundry room, and a utility room. Reference the Town of Edgecomb Tax Map U6, Lot 5. Friday, September 30, 2005 from 12:00-2:00 p.m.
From Wiscasset, follow Rt. 1 north across bridge into Edgecomb, right onto Eddy Road just after Bintliffs Restaurant (f/k/a The Muddy rudder), follow Eddy Road .3 miles, right onto Fort Road to property on the left. The deposit to bid is $50,000 (non-refundable as to the highest bidder) in CASH or CERTIFIED U.S. FUNDS, made payable to the Keenan Auction Company (deposited with Auctioneer as a qualification to bid), with the balance due and payable within 45 days of the public sale. All other terms and conditions of the sale will be available from the auctioneer. A 10% Buyer’s Premium. For a Property Information Package visit www.KeenanAuction.com or call (207) 885-5100 and request auction number 05-148. 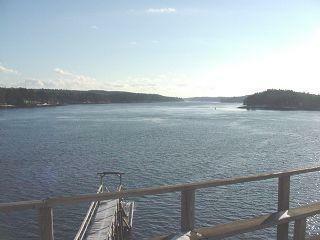 Water – The Eddy, off the Sheepscot River, Gulf of Maine.